JUST REPRICED FROM $11,995, FUEL EFFICIENT 27 MPG Hwy/22 MPG City! Altitude Edition trim. UCONNECT VOICE COMMAND W/BLUETOOTH, Alloy Wheels, CD Player, AIR CONDITIONING, POWER VALUE GROUP, TRANSMISSION: CONTINUOUSLY VARIABLE T... CLICK NOW! CD Player, Aluminum Wheels. 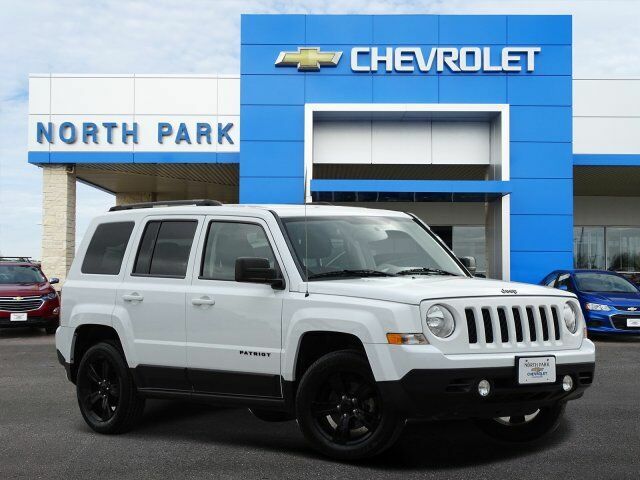 Jeep Altitude Edition with Bright White Clear Coat exterior and Dark Slate Gray interior features a 4 Cylinder Engine with 158 HP at 6400 RPM*. POWER VALUE GROUP Body Color Door Handles, Illuminated Entry, Speed Sensitive Power Locks, Keyless Entry, Power Heated Fold-Away Mirrors, Power Driver 1-Touch Windows, Body Color Liftgate Applique, TRANSMISSION: CONTINUOUSLY VARIABLE TRANSAXLE II AutoStick Automatic Transmission, Tip Start (STD), AIR CONDITIONING, UCONNECT VOICE COMMAND W/BLUETOOTH Rear View Auto Dim Mirror w/Microphone, Remote USB Port, SIRIUS Satellite Radio, For More Info, Call 888-539-7474, ENGINE: 2.0L I4 DOHC 16V DUAL VVT (STD). Privacy Glass, Child Safety Locks, Electronic Stability Control, Bucket Seats, Brake Assist, 4-Wheel ABS, Tire Pressure Monitoring System.